Torc Mountain is an extremely popular and scenic moderate 2-2.5 hour (7.5 km) walking route to the summit of Torc Mountain (535m) with spectacular 360 degree views of Killarney town and lakes, Muckross House, the Killarney National Park and the McGillicuddy's Reeks, County Kerry in the south west of Ireland. 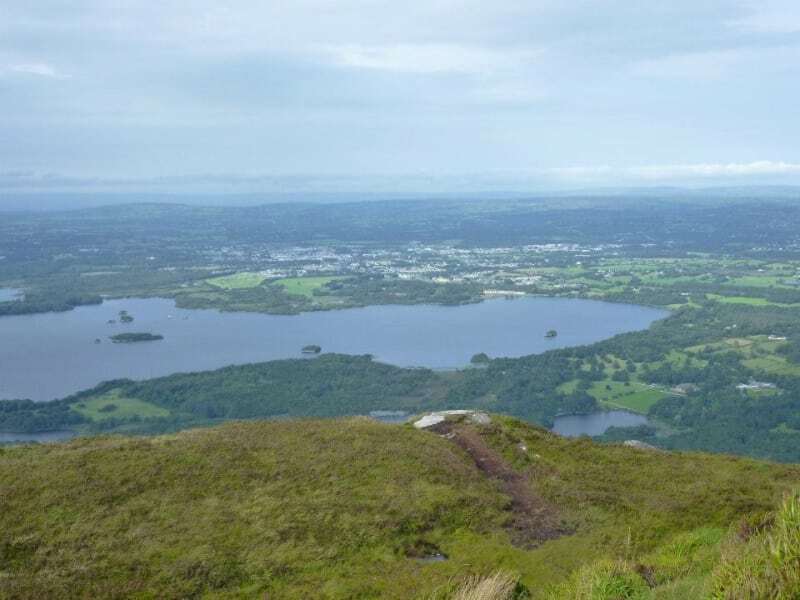 This walk starts from the upper Torc Mountain car park which is also the starting point for the Old Kenmare Road Walk, a stage of The Kerry Way, Mangerton Mountain and other smaller loop walks in the area. From Killarney, continue approx 5miles / 8km before turning left on the road signed for the 'Old Kenmare Road' just before you get to the Torc Waterfall car park itself (see the map). The famous Torc Waterfall is at the base of Torc Mountain off the main Ring of Kerry Road about 5 miles (8.0 km) from Killarney. This guided walk is part of the Killarney Walking Festival in June. Register for the guided walk here www.killarneywalkingfestival.ie. View the route map below and also on our Free Apps on iPhone and Android here. 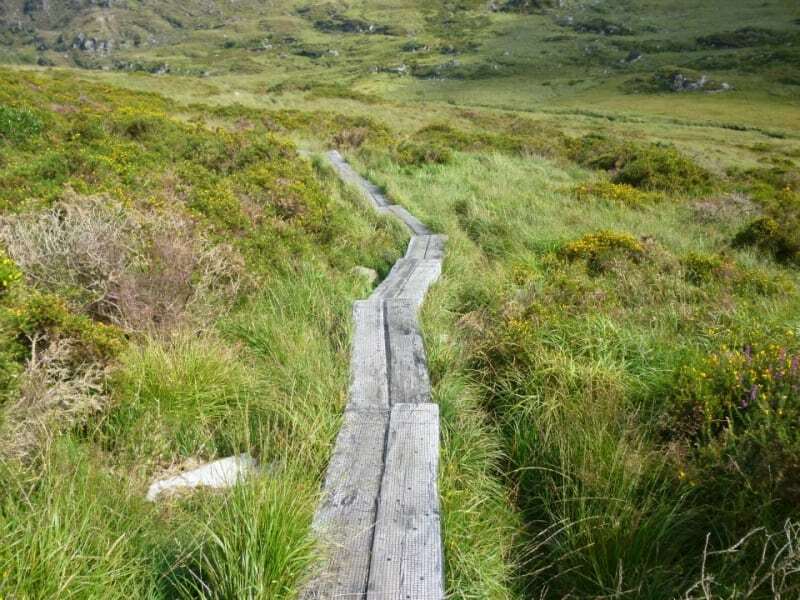 Even though the summit is 525m, this walk is very popular as it is accessible to almost anyone due to the clear paths and wooden sleepers on the mountain. 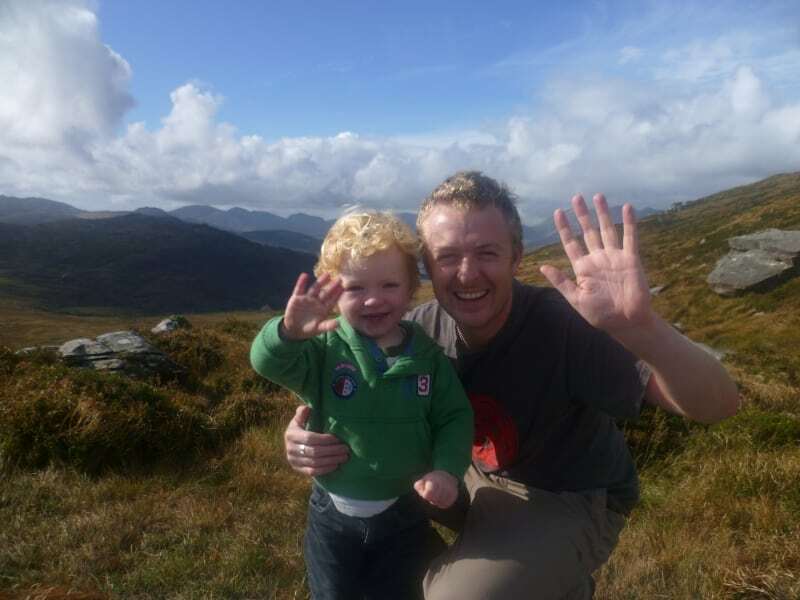 I brought my son when he was age 2 to the summit of Torc using a backpack but he decided to walk the majority of the way on the wooden sleepers. If you try this take care as the sleepers can be over a foot off ground level at some points and can be a little slippery when wet. 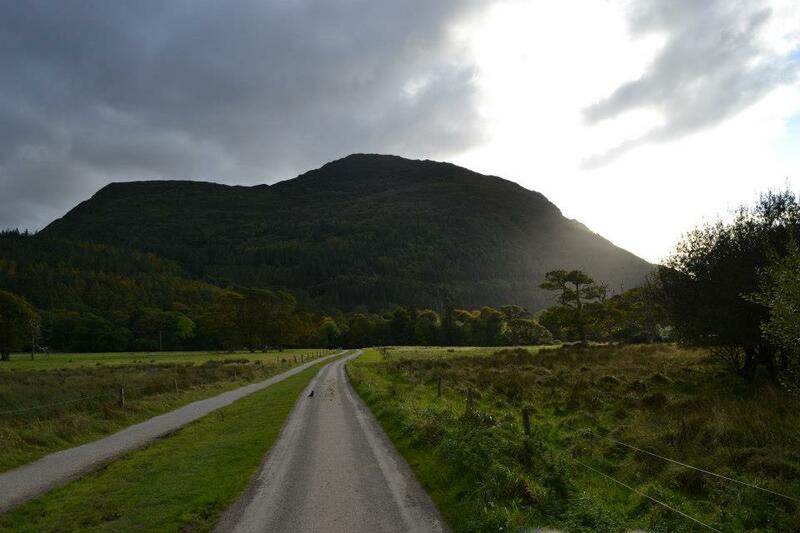 Torc Mountain gets its name from the Irish word torc meaning boar and is steeped in Irish Mythology. It is said that an enchanted boar was killed there by the legendary hero, Fionn mac Cumhaill (Finn McCool), the mythical hunter-warrior of Irish mythology who led the Fianna warriors in the 3rd century. Fionn mac Cumhaill also occurs in many other Irish mythology stories and in the mythologies of Scotland and the Isle of Man. See plenty more nearby walks and other 'things to see and do' at the bottom of this page. Use our Map of Ireland and Sat Nav tool to get directions to the start point and our detailed maps and GPS on our ActiveME iPhone and Android App to find and follow the walking route live on screen and keep on track. At all times, our maps and App should be used in conjunction with proper map and compass navigation techniques. Feel free to send us your photos and add you own comments or suggestions below.